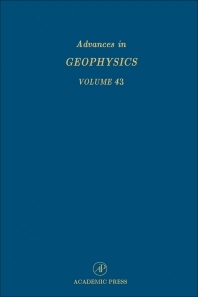 Libraries as well as academics and professionals in all areas of geosciences, including geophysics, geologists, hydrologists, climate modelers, oceanographers, petroleum explorationists. Barry Saltzman, 1932-2001, was professor of geology and geophysics at Yale University and a pioneer in the theory of weather and climate, in which he made several profound and lasting contributions to knowledge of the atmosphere and climate. Saltzman developed a series of models and theories of how ice sheets, atmospheric winds, ocean currents, carbon dioxide concentration, and other factors work together, causing the climate to oscillate in a 100,000-year cycle. For this and other scientific contributions, he received the 1998 Carl Gustaf Rossby Research Medal, the highest award from the American Meteorological Society. Saltzman was a fellow of the American Meteorological Society and the American Association for the Advancement of Science and an honorary member of the Academy of Science of Lisbon. His work in 1962 on thermal convection led to the discovery of chaos theory and the famous "Saltzman-Lorenz attractor."